Pasadena, CA, May 29, 2014, Dr. John K.F. 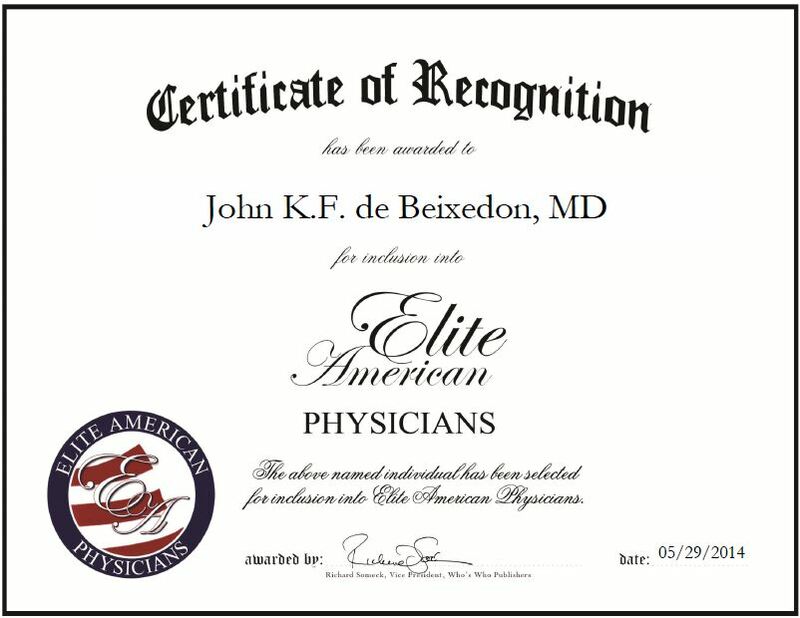 de Beixedon, Physician at The Pasadena Center for Medical Weight Loss, has been recognized by Elite American Physicians for dedication, achievements and leadership in weight loss programs. Interested in internal medicine, Dr. de Beixedon decided to pursue a career in the field 22 years ago. He has been in private practice in Pasadena since 1998 and currently runs a concierge style medical practice that offers patients accessible care. Specializing in diabetes and Bariatrics, Dr. de Beixedon is responsible for creating a comprehensive personalized weight loss program tailored to the individual and treating patients. He takes great pride in providing his patients with the highest quality care and is truly concerned about their health. 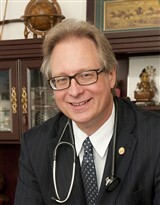 Dr. de Beixedon is a board-certified internal medicine physician who is sought-after by others for advice and guidance. He has garnered a reputation for one of the most popular internists in Pasadena, served as a medical adviser for ABC News, and appeared on local and national news broadcasts. He attributes his success to his hard work, training and family influence, as they were also scientifically inclined and renowned in their fields. Looking toward the future, Dr. de Beixedon intends to continue to expand in his career in the areas of laser therapy and lipo therapy. Dr. de Beixedon earned an MD at St. George’s University and completed internships and his residency in internal medicine at the University of Virginia. He keeps abreast of changes and advancements in the field through his affiliation with the American Society of Internal Medicine. This entry was posted in Uncategorized and tagged Bariatrics, internal medicine, private practice, weight loss. Bookmark the permalink.